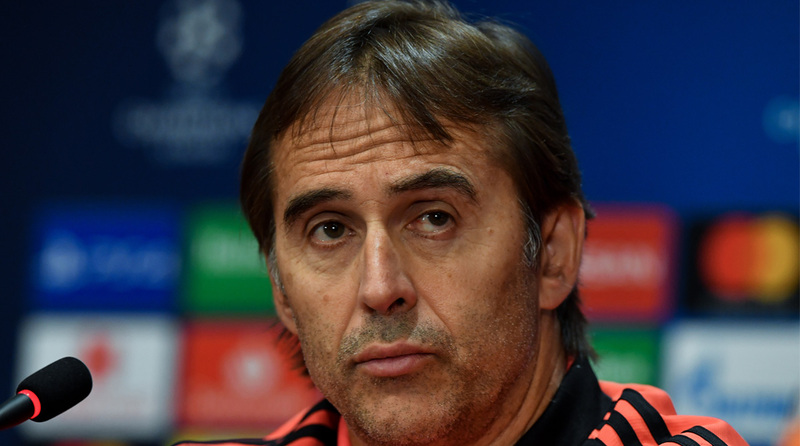 Julen Lopetegui’s side has only managed one goal in their last four matches and that came two weeks ago as they narrowly beat Espanyol in the Santiago Bernabeu Stadium. Real Madrid need to overcome injuries and rediscover their scoring touch if they are to take all three points from their visit to Deportivo Alaves on Saturday and avoid what could otherwise be a difficult two weeks over the international break. Julen Lopetegui’s side has only managed one goal in their last four matches and that came two weeks ago as they narrowly beat Espanyol in the Santiago Bernabeu Stadium, reports Xinhua news agency. Since then they have lost away to Sevilla and CSKA Moscow and were held 0-0 in the Bernabeu by Atletico Madrid in last weekend’s Madrid derby. Failure to beat Alaves on Saturday would mean the rumour mill go on a overdrive over the coming international break and there could even be a slight possibility of Lopetegui losing his job just three and a half months after being named as the replacement to Zinedine Zidane. Madrid were unlucky in Moscow on Tuesday night with four efforts hitting the CSKA woodwork and Lopetegui will welcome back Sergio Ramos, who was rested for that game, while Luka Modric, who came on as a second half substitute in the Luzhniki Stadium, can also expect to be in the starting 11. Real Madrid have a few injury problems with full backs Dani Carvajal and Marcelo out with calf injuries, while Gareth Bale has a groin strain which he picked up in the Madrid derby and Isco is recovering from an emergency appendix operation. Last season Dani Ceballos was Madrid’s hero with two goals in Vitoria and he could well find himself in the starting 11 on Saturday, especially if Lopetegui opts for a four-man midfield and the Spaniard in the middle. Benzema’s dip in form over the past fortnight could allow Mariano a chance, but so far Lopetegui has kept faith in the French striker, who is receiving increasing amounts of criticism from the fans.